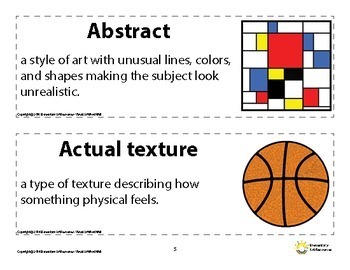 The Visual Art Word Wall© is a Visual Art vocabulary word wall with over 160 vocabulary words! 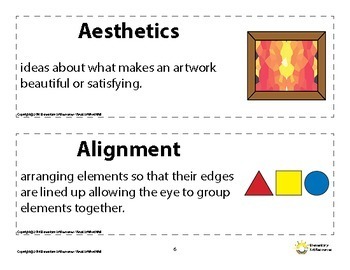 • All clipart matches the same in my Bingo games and posters making it easy for ELL students to make connections. 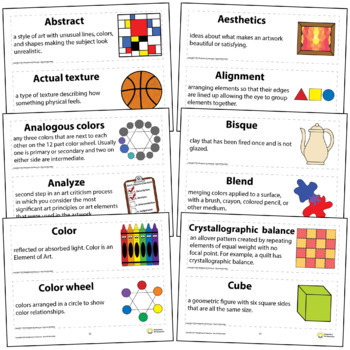 You can easily post this Visual Art vocabulary word wall in your classroom to show administration the vocabulary your students are learning during that lesson. Website: Click here for our website! Twitter: Click here for twitter! Facebook: Click here for twitter! Instagram : Click here for instagram! 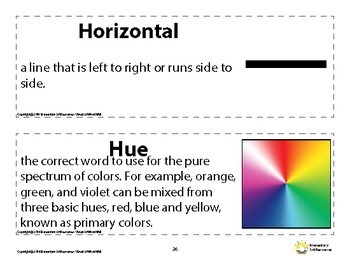 Pinterest : Click here for Pinterest!